Beautifull and large house (400m2) in buenos aires, the best city in south america !!!! Modern beatifull house with magnificent light from all directions, all in great conditions and very complete. the house was fully redecorate last year with itallian furniture, the ground flooring and paint was also remade. maidroom with bathroom, laundryroom and another room that i usually use as a workroom. outside, very nice garden with swimming pool, another dinning table for 8 and hudge barbecue(the house has entry by 2 streets with space for 3 cars), at the front the house have another small garden and reception. 1 mastersuite with new king size bed, 37" lcd with home theather, balcony and compartiment bathroom with yacussi and separete shower. another big terrace in the front. 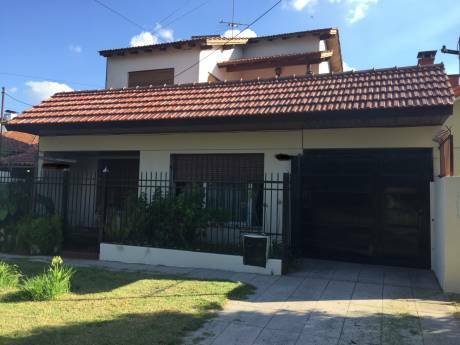 This is a very nice residential neigborhood (punta chica in the north part of the city), one of the best of buenos aires, about 15 kilometres from downtown and very close (about 5 minutes) from luxury restaurants and stores, and shopping malls. the house is walking distance from the river, supermarkets, stores, etc. 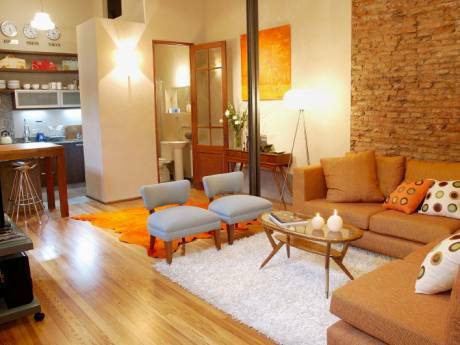 and 40meters from avenue libertador that conects the city. got busses on the corner and train is about 5 blocks from the house but probably the best option will be car or taxi because in buenos aires public transportation is not very good and moving with a private car is very cheap.